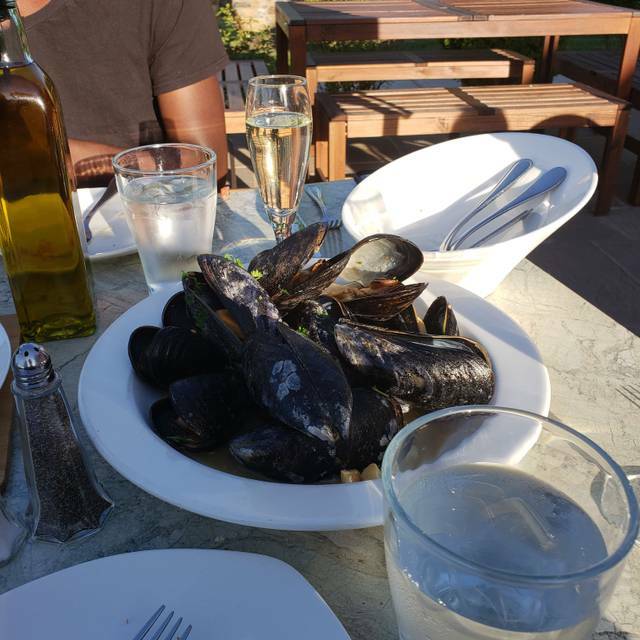 You must make reservations at least 5 minutes in advance of the time at Arugula Ristorante At Cold Point Village (BYOB). A tribute to Italy’s Amalfi Coast in both cuisine and décor, Arugula Ristorante at Cold Point Village allows guests to dine al fresco in a roman inspired garden patio, or simply enjoy the spacious dining room, built around an open kitchen atmosphere and traditional old world wood burning oven. 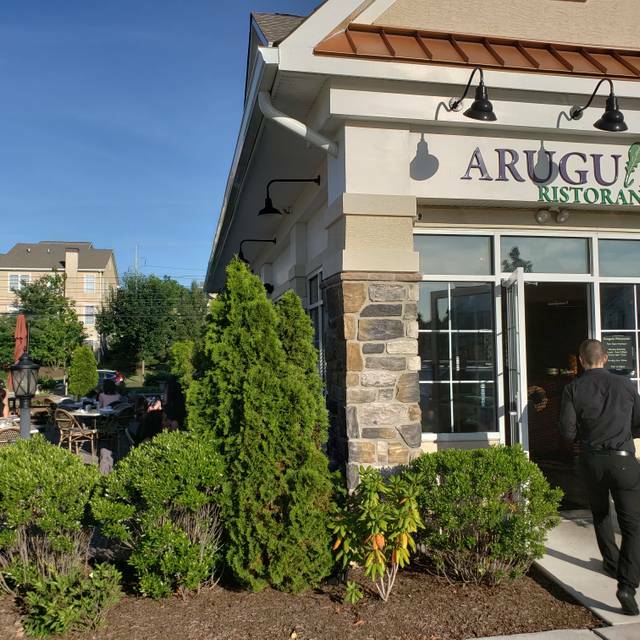 Arugula Ristorante successfully brings a center city style of dining to the suburbs. Sourcing the freshest and finest local ingredients, such as organic produce, free-range chicken and grass fed beef and veal, this restaurant has created an everyday dining experience with tasty offerings that are showcased in a simple, yet delicious manner. 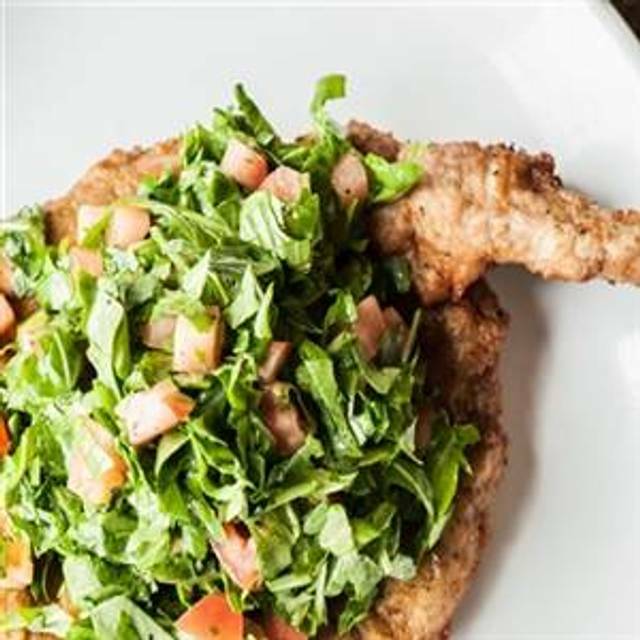 Seeking casual, affordable and flavorful Italian fare, Arugula Ristorante at Cold Point consistently maintains the highest quality of product and success, ensuring that each guest's expectations are always met and exceeded. Spoil your Mama! We will be open at noon serving a menu full our regular and specialty items from throughout the year! Arugula has gotten better since it opened a few years ago. It's really good now and the atmosphere has a fun vibe but not too much. Took my adult kids for Easter pre dinner since we could not be together on Easter Day. Had a delicious meal, each one better than the next. Shared a bottle of wine. Great time! Food is delicious and service is excellent. Love the grilled artichoke ,grilled romaine and salmon .Any of the pasta dishes are great especially the homemade ones. Deserts are great and it’s a BYOB, love this place. A little sterile, likely related to newish architectural style. Just space. Great atmosphere! Great Staff! Love the food! Server was friendly. We picked this at random and were very, very impressed. The food was creative and very well prepared. I could eat the veal chop every night. Service was a bit slow, but the food and the overall atmosphere far made up for it. Food was excellent - just as it’s been the 2 times I’ve been here before. 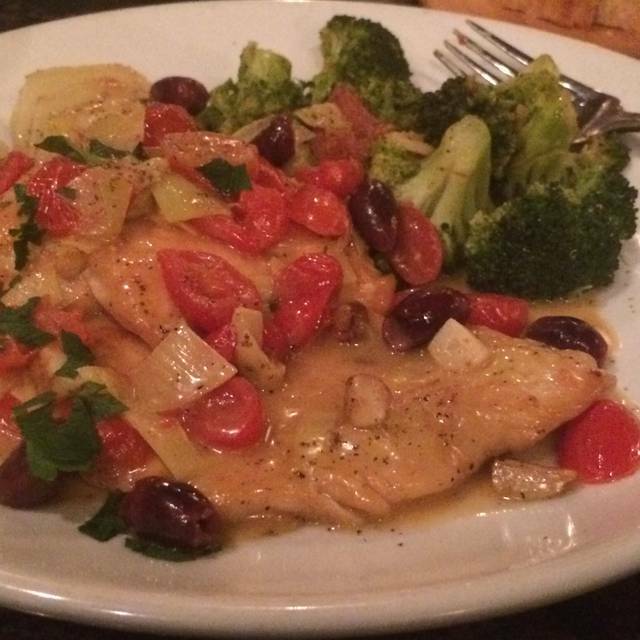 Creative menu, really-fresh ingredients, and wonderfully-light and flavorful seasonings. And I love that it’s still a BYO. I have not been credited the points for this reservation. Can you please add them? Made us wait an unreasonable amount of time with a reservation . There were many open tables but not bussed tables . Kitchen was apparently backed up and wouldn’t seat us . They could have seated us with at least bread and a drink . Also for good customer service should have at least offered us an appetizer or something on the house . Won’t go back! I always enjoy the food at Arugula. 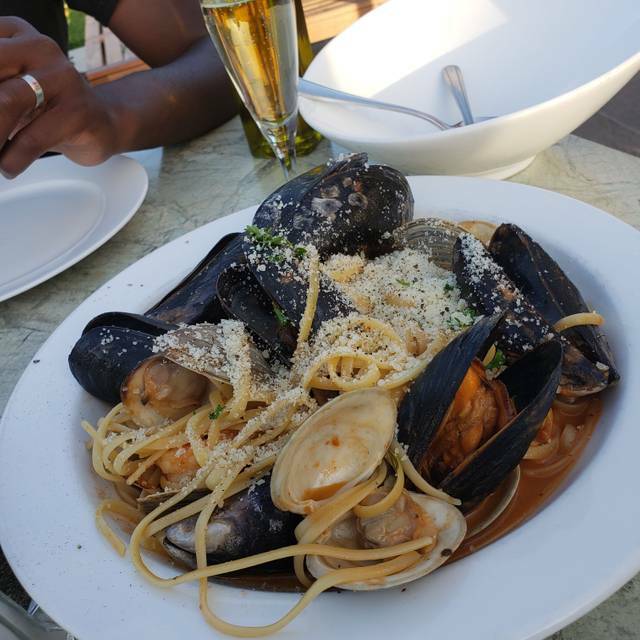 The pasta is delicious and the entrees are even better. The dessert also are always a delight. Portions are the right size not too much but also not the small plates that are often served at this caliber restaurant. Service is very attentive with a round of different wait staff constantly checking in on the diners. The place can get noisy and not all table locations are idea. We were seated at table that was crammed in between two entrance ways. There was a constant flow of patrons going past both sides of our table. I would have been more accepting of this if there were not other tables open in the middle of the dinning room the entire time we were there. I would have thought that this table should be the last one to be filled on any given night since it seemed to be the worst table in the restaurant. I like eating at Arugula with my friends as the food and service are great. It is also BYOB with is awesome !! I’ve eaten here many times. I am looking forward for the weather to get nicer so I can sit outside ! It was a nice place. Dinner was very good. Dessert was ok. We will definitely go back for dinner again. First time there— food was awesome. Waiter was super friendly and knowledgeable. Only piece of feedback would be to bring the bread bowel sooner. Very nice! Service, food, price, ambiance, all rare high. The only down-side would be the noise level, and that was on the high-side. Will definately return and recommend. Great food. BYO a big plus. Full dinner for 2, all in, about $100. We've been to Arugula several times so,obviously,we enjoy it. My friend and I always share the antipast for our appetizer. It is delicious,good quality,nicely varied,and sufficient for two. This time,I tried the penne alla vodka which was very good; my friend had the lamb chops which he said were delicious. We were both full so no dessert for us. The menu has a nice selection from appetizers to flat breads to entrees,and the prices are very reasonable. And,the fact that it's a BYO helps even more. Service is always friendly and efficient. There's also a free parking lot. The only complaint is the noise level. It's boisterous every time we go so be prepared for that. The food and service was excellent. We had the lobster ravioli and shrimp and scallops special. I don’t like scallops and they were able to accommodate me and not have scallops in my meal. The food was amazing and portions were perfect. They had options for pescatarians, vegetarians, gluten free, etc. Great entrees, good service, never disappoints. food and wait service are always excellent. noise level at dinner hours can require that you need to strain your voice to be heard. Wonderful evening. We didn’t feel rushed and the food was terrific. Good service too. Nice place to catch up with friends. They do not rush you out. Never a disappointment! Phenomenal food and service! Best italian restaurant in the area. Dishes are unique, but at the same time familiar. BYOB makes it great value. Waiter didn't rush us and allowed us to enjoy our dinner at a slow pace. Food was awesome. The food was delicious and the service was great! Highly recommend this restaurant! Great menu choices and specials and it’s a byob! The food is always excellent. The service is attentive. The meal I got I was not entirely happy with. I have gotten others which were better. I have been eating here a lot. This restaurant is the one that I think of dining place first of all. Excellent evening out with friends. Service and food were outstanding. Fun evening, for sure. Great local place. Wonderful people and great service . Always a very good meal.